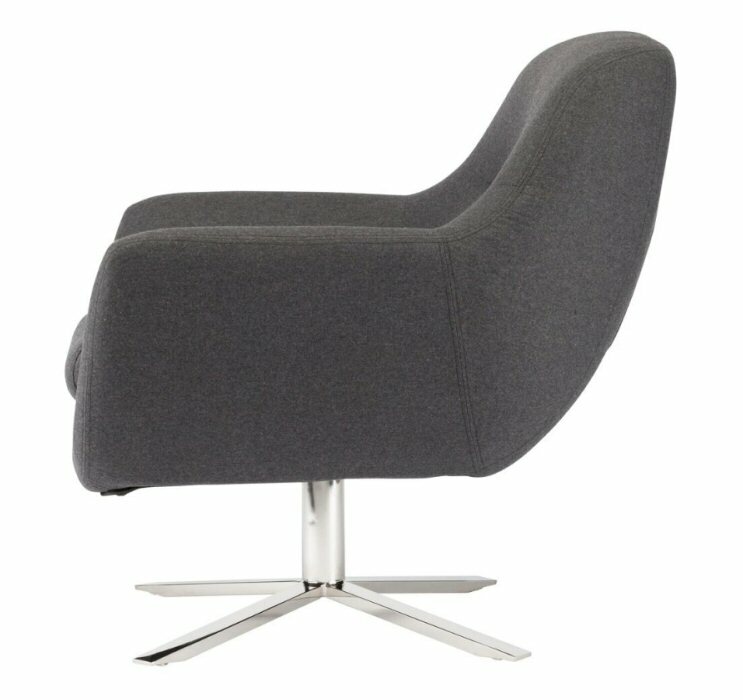 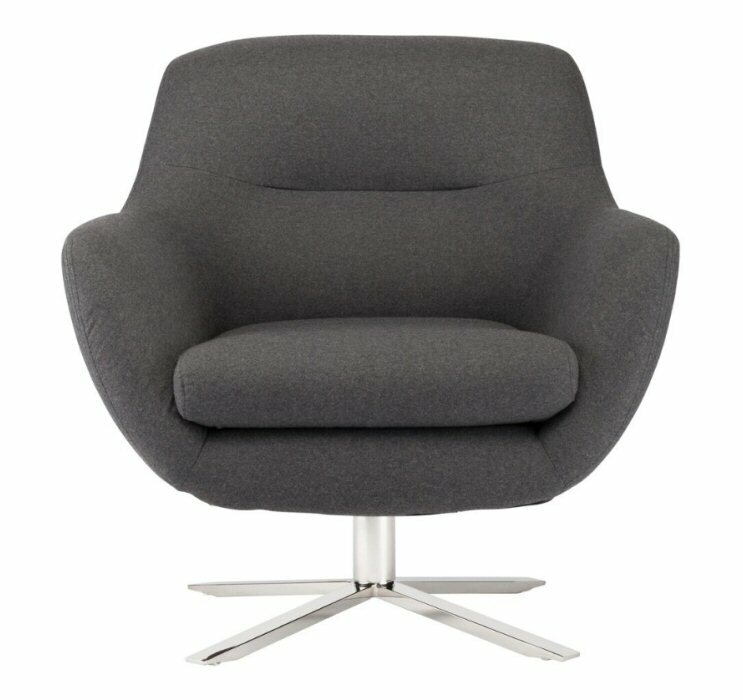 Nuevo Living Greta swivel chair is notable for the seamless curvature of its design. 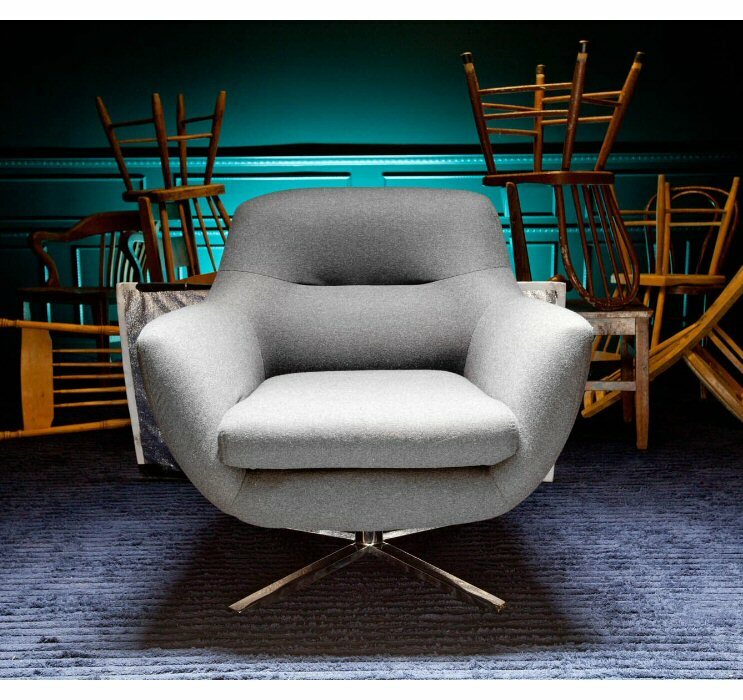 Featuring an overstuffed wool form together with an exceptionally wide frame, the Greta offers remarkable comfort. 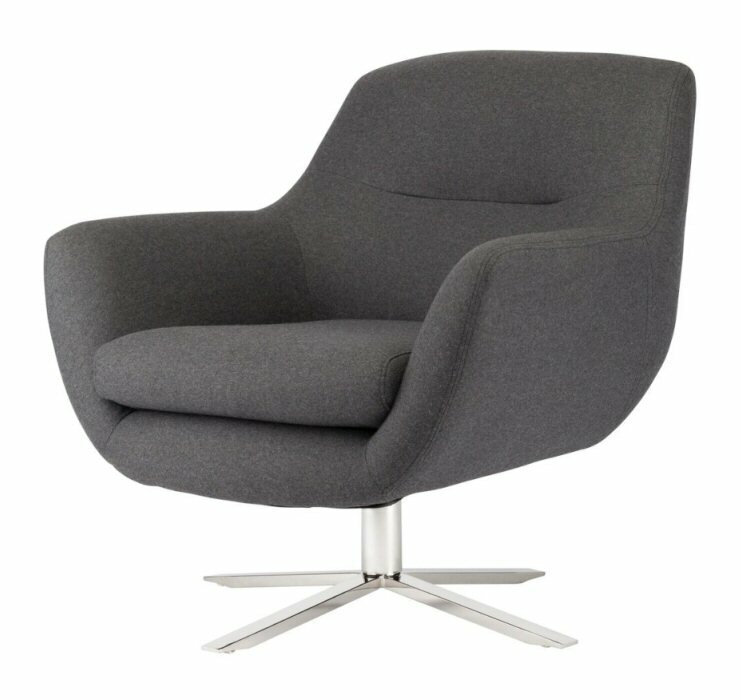 An understated swivel base completes the contemporary silhouette blending refinement and grace.